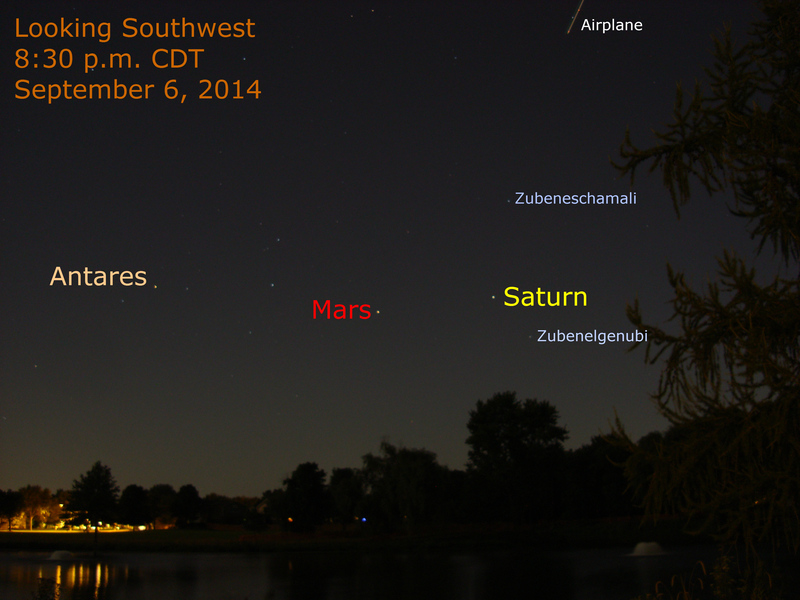 Mars and Saturn shine from the southwestern sky this evening after sunset. (Click the image to see it larger.) Mars is nearly 8 degrees east of Saturn and nearly 15 degrees west of the star Antares. During this month, watch Mars approach and pass Antares. A year ago, Venus shared the evening sky with Saturn. Notice where Saturn was a year ago compared to Zubenelgenubi and Zubeneschamali in this posting from 2013. For more about the planets in September 2014.